Wall Hanging...Another of my Ocean inspired creations. This one is 16" long. 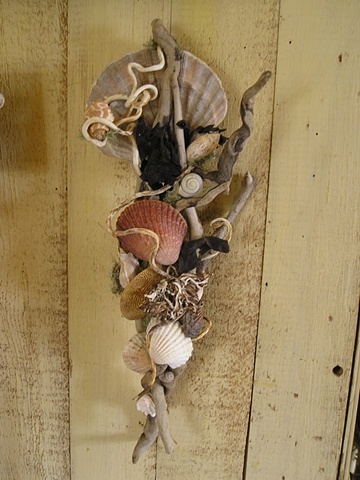 It is made of driftwood pieces that are entwined and then a mix of shells were added to make a beautiful piece to remind you of the beach any time you look at it.